So much hyperbole on this topic of late. Ever since Steve Jobs banished flash from iToys I have seen darn-near everyone scrambling (me included) to address impact on commitments in flash media delivery. With this as motivator, the general friendliness of html5 makes this a great opportunity to get hands dirty with early html5 and CSS3 capabilities. The majority of the spin on this topic has cast HTML5 and FLASH in an adversarial light. Well, truth is Flash runs great under html5. There is no real conflict whatsoever, in fact the new html doc type is inclusive of all previous html. It is true that html 5 gives page coders a chance to play media directly in their page but doing so creates new challenges. Filetypes for one.. don’t expect to play an .mp3 file in Firefox, won’t happen. And for another, every browser has a different default player layout, size, and appearance so there is still some work to fit design requirements. Microdata and Canvas capabilities will likely spawn some interesting tools for both developers and designers as html5 and css3 find their way into wider use. For now with some great new tools like the modernizr library it’s gonna be pretty straightforward for many to solve the html5 media player requirements. This will address immediate issues and get our media playback fully functional on Devices requiring html 5 tags and still create a smooth rollback through html4 browsers. It is unfortunate that Steve won’t let his minions display the wonderfully creative things that can only be done in flash, but don’t for a second believe it is because of html5. Html5 + css3 is awesome and Flash will be a part of it, just not on Apple iToys. Adobe to To Charge For Upgrade to CS5? Can it be true? Adobe planning to charge for an upgrade to version 5.5 of its recently released CS5 suite of tools? iPhone delivers the best YouTube mobile experience by far… Now users can enjoy YouTube wherever they are—on their iPhone, on their Mac or on a widescreen TV in their living room with Apple TV. While this may have been true in 2007, it’s no longer the case in 2010. Google has released a major update to its mobile YouTube experience (m.youtube.com) that beats all of the discrete YouTube apps out there — including the iPhone variety. For starters, the new Web app is completely based in HTML5, it has a slick UI and it loads fast. But the defining difference is the quality, the Web app simply looks better and will soon feature more content than the dedicated iPhone app. TechCrunch’s Jason Kincaid noted that “it wasn’t hard to detect some tension between YouTube and Apple” during a presentation by YouTube product manager Andrey Doronichev. He made it clear that the new web app is superior in just about every way. The web app offered a number of advantages, including auto-complete in search and a UI that’s more consistent with the latest version of the YouTube webpage (the iPhone app still uses YouTube’s 5-star rating system, which was abandoned in January in favor of a binary ‘Like’ system). Most important, the video quality of the web application was leaps and bounds ahead of the iPhone app — Doronichev explained that this was because the iPhone app still uses a video streaming format that was developed for Edge, not 3G. Video on the HTML5 app looked much better, and was snappier to boot. It looks like Google’s recent embrace of Web apps — witness Google Voice and Buzz — could be retaliation for Steve Jobs’ comments that Google’s corporate mission was “B.S.” and for it banning Google Voice from the App Store. Apple’s unwillingness to work with Google is just another example of how its bridge burning hurts customers in the end. It’s pretty clear that Google probably won’t release any new iPhone apps — or updates to existing ones — ever again, which is allowing Android to catch up with, and surpass the iPhone. Apple’s silly feud with Google means that iPhone customers will be stuck with substandard native apps (like YouTube and Maps), no new Google apps (Listen, Shopper, Goggles, SkyMap and Translate) and be forced to pay extra for navigation apps from the App Store rather than getting the killer Google Maps Navigation for free. Despite predictions to the contrary, Adobe (Nasdaq: ADBE) Flash won’t be supplanted any time soon as a major video distribution vehicle on the World Wide Web, according to a software engineer at the Net’s largest video sharing site, YouTube. “[W]hile the <video> tag is a big step forward for open standards, the Adobe Flash Platform will continue to play a critical role in video distribution,” John Harding wrote in the YouTube API Blog this week. He was referring to prognostications that a new version of the language to create pages on the Web, HTML5, will “kill” Flash as the primary video distribution technology on the Internet. Doing what a service such as YouTube does requires more than what HTML can do, Harding maintained. “We need to do more than just point the browser at a video file like the image tag does — there’s a lot more to it than just retrieving and displaying a video,” he noted. 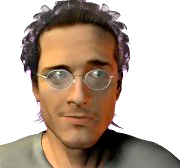 for the World Wide Web Consortium, told TechNewsWord from his office in Cambridge, Mass. Flash, Harding also asserted, provides a more effective and reliable means of delivering video to a browser. “Simply pointing the browser at a URL is not good enough, as that doesn’t allow users to easily get to the part of the video they want,” he wrote. He also pointed out that HTML5 doesn’t provide any way to protect the content of video producers. That’s something likely to remain missing from the HTML standard in the future, too. “That’s not something we have been looking into, or we are planning to look into in HTML5,” Le Hegaret observed. Another advantage of Flash over HTML5 is its ability to embed video on a Web page, Harding contended. “Flash is the only mechanism most websites allow for embedded content from other sites,” he wrote. Harding also contended that the inability to display full-screen video in a browser is another HTML5 deficiency. “HD video begs to be watched in full screen, but that has not historically been possible with pure HTML,” he wrote. Camera and microphone support is another missing element from HTML5, Harding maintained. “Flash Player has provided rich camera and microphone access for several years now, while HTML5 is just getting started,” he stated. Daddy’s an Addict and there’s no one around to do it. International observers have called for action following accusations that China has been arresting leading Tibetan writers, poets and musicians in a crackdown on cultural figures. Defiant the words may be, but they appear to have cost their writer his freedom. 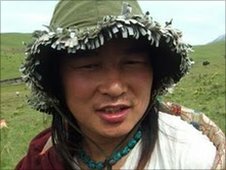 The singer, Tashi Dhondup, was arrested in China at the end of last year, and in January he was sentenced to 15 months hard labour. But his real crime may have been simply that he was so popular. His CDs were passed among Tibetans, individual songs shared over the internet and by mobile phone. “Tashi Dhondup reflected the trauma that Tibetans were feeling,” said Dechen Pemba, a London-based blogger. Tashi Dhondup was not alone. According to a report by the International Campaign for Tibet, more than 50 writers, poets and musicians have been rounded up over the past few months. Many have received tough sentences and, according to the campaign’s spokeswoman Kate Saunders, many were people not usually regarded as dissidents. “They’re being… taken from their homes in the middle of the night,” she said. It is still not clear exactly what motivated the crackdown. Certainly, the last two years have seen a flowering of overtly-critical Tibetan songs, poems and other artistic outpourings. They date from the protests that broke out in the spring of 2008, which saw violent confrontations between indigenous Tibetans and the ethnic Han Chinese who have been resettled there over the past few decades. But despite clear challenges to Beijing’s authority, Robbie Barnett, director of Columbia University’s Modern Tibetan Studies programme, said the Chinese government itself may not be behind the arrests and prison sentences. He believes that over-zealous local officials were the more likely instigators: “Local officials make their own minds up about who they’re going to crack down on. “They don’t care about international responses. They may have an interest in being much more heavy-handed,” he said. Another writer who has been on the receiving end of this treatment is Shogdung – he was arrested in April and campaigners have not heard from him since. Shogdung’s case is particularly pointed, as he had previously been seen as loyal to the Chinese government – he had criticised Tibet’s version of Buddhism – and had said the Tibetan people needed to sort out their own problems. But in the wake of the 2008 battles, Shogdung had become increasingly critical of Beijing and this year published an unauthorised book The Line Between Sky and Earth. 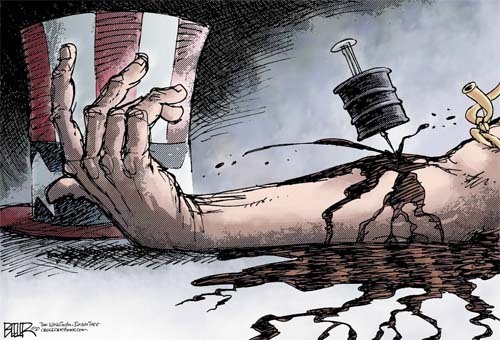 It contained a scathing denunciation of Chinese rule: “My flesh is petrified, my bones hurt. They have made everyone helpless and desperate. In daytime, they run like jackals. One of the last people to meet Shogdung was the French journalist Ursula Gauthier, who interviewed him just two weeks before his arrest. “He was clear he was heading for trouble,” she said. 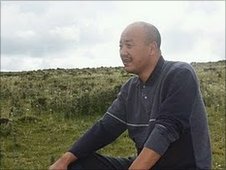 The Chinese Embassy in London has refused to comment on Shogdung’s case, or on the arrest and detention of any other Tibetans. A spokesman said there was nobody available to discuss the matter. Money is not the motivator we tend to think it is. This visual treatment of Daniel Pink’s presentation at the RSA is brilliant on many levels.